This is a look at my life, and the many things I try to learn and do. 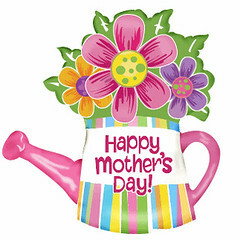 For all of the Mums out there have a very happy day. 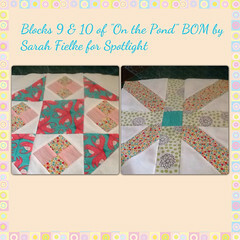 Well for the catching up I am up to date with the the Sarah Fielke BOM "On the Pond" for Spotlight. 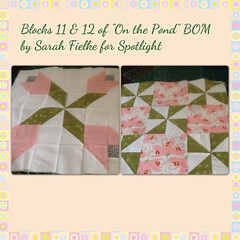 These are blocks 13 & 14 we must be getting near the end soon. 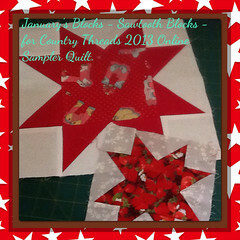 As for new starts I have been saving the assorted star blocks for the Country Thread 2013 Online Sampler Quilt., and thought as Mays blocks I had better get moving to catch up so I cut all the pieces on the weekend and this week have sewn them all. 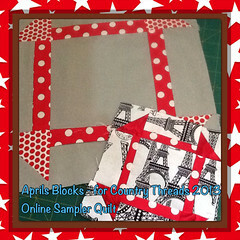 I decided on red, black & white after seeing Bev of 44th Street Fabrics blocks, but I gave slipped in a little grey as I don't have much black & white fabric . 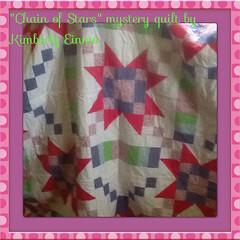 Also these is some hot pink in a couple of the fabrics so I might slip some in. We will see as I go on. All in all I am very happy with my commitment to keeping up this year. 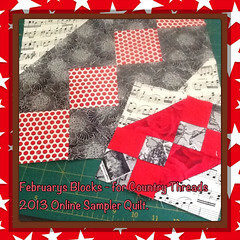 January love the gumboot fabric. 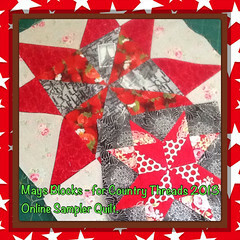 Now I am off to cut and sew Mays block for Amy Gibson's Sugar Club Quilt. A lot of the blogs I read are shifting to BlogLovin as Google Reader is shutting down. So I thought would join them. The link below will get you to my blog on BlogLovin, so come join me. 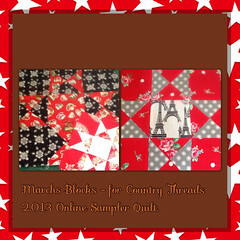 Well I am on a roll the week and last a quilt quilted and bound. 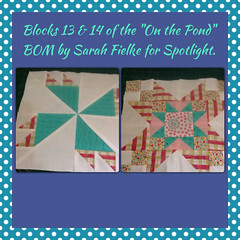 I have caught up with the Mystery quilt by Sarah Fielke. 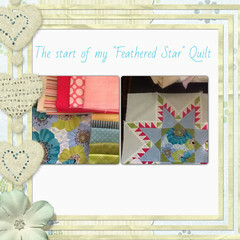 A sneak peek of what I am designing and working on with stars. More updates when I get them done. I am a busy Mum with two adult daughters, who tries to learn and do new things. At the moment one of my new things is to learn to hablar Espanol. The Easiest and Best Sponge Recipe Ever !